What is 'Blue Carbon' and how does it help protect our coastal ecosystems? It sounds like a paradox: a heatwave at the North Pole during the Arctic winter, when no sunlight hits the region for six months. Yet this strange event has just happened again, for the fourth time in the last five years. During 10 days in February 2018, temperatures at the North Pole stayed well above freezing level for at least part of the day. Scientists are baffled by the frequency and intensity of the anomaly. They warn that the recurrence of such extreme events will accelerate sea-level rises, increase the release of heat from warmer Arctic waters into the atmosphere and disturb the jet stream. It lies within the nature of the global climate system that this will have consequences on people and wildlife tens of thousands of miles away. Among the most vulnerable are coastal ecosystems and communities in the tropics and subtropics. Over 3 billion people depend on healthy and safe coastal ecosystems for their economic livelihoods, for food and for protection from storms. The economic value of coastal ecosystems is estimated at the scale of billions to trillions. Coastal ecosystems such as mangroves, seagrass meadows and tidal marshes supply numerous critical ecosystem services, purifying water, protecting coasts and providing nursery areas for fish. On top of this, they store large amounts of carbon – commonly referred to as “blue carbon”: the carbon stored by oceans and coastal ecosystems. To give just one example, oceanic mangroves store almost three times as much carbon as tropical forests, particularly through soil and peat formation. 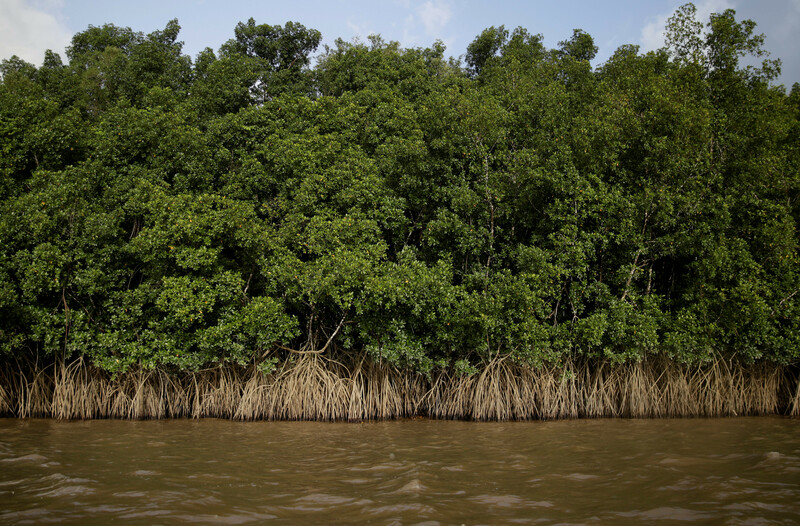 Globally, there could be as much as 20 gigatonnes of blue carbon stored in mangroves. In other words, mangroves are highly efficient carbon sinks and critical for climate mitigation and adaptation. Meanwhile, economic development and population growth are threatening the existence of those vital ecosystems. The International Union for the Conservation of Nature estimates that to date, 67% of mangroves have been lost or degraded, making them one of the most threatened ecosystems on Earth. Under a business-as-usual scenario, all unprotected mangroves could be gone within the next 100 years, with devastating consequences both for people and the planet. Coastal ecosystems provide nursery areas for fish. The issue has of course not gone unnoticed. UN Sustainable Development Goal 14 (Life Below Water) and many national climate mitigation and adaptation goals recognize the importance of protecting coastal ecosystems. In parallel, many public-private initiatives have emerged to accelerate the necessary action to protect and restore blue carbon ecosystems. For example, the World Economic Forum’s Friends of Ocean Action and the High-Level Panel on Building a Sustainable Ocean Economy, chaired by Norway’s prime minister, Erna Solberg, offer crucial platforms to forge partnerships and advance action on the ground. One critical challenge for protecting coastal ecosystems at the required speed and scale is the mobilisation of investment. As is the case for other climate and sustainable development investment needs, private sector investment and the blending of public and private finance is critically important for reaching scale. Payments for ecosystem services (PES) offer one proven approach for financing the protection and restoration of blue carbon ecosystems and supporting sustainable livelihoods for coastal communities. In exchange for investing in the protection or restoration of mangroves, for example, businesses receive certified carbon credits to manage their own emissions. To date, such schemes have been small scale compared to the size of the challenge. Looking ahead, there are three promising opportunities to scale up the market for blue carbon and thereby mobilize additional private sector investment to protect coastal ecosystems and livelihoods. Over 150 countries have at least one blue carbon ecosystem on their territory; in 71 countries all three types (mangroves, seagrass meadows and tidal marshes) exist. However, only 28 countries have included coastal wetlands in their nationally determined contributions (NDCs), the emission reduction plans submitted under the Paris agreement. There are two ways of looking at this omission: as highlighting the need for more countries to include blue carbon in their climate mitigation goals; or as an opportunity to drive investment in complimentary emission reduction activities on top of NDCs. More on this below. Mangroves grow on the banks of Oiapoque river, Brazil. Lessons learned from the voluntary carbon market suggest companies seek to invest in emission reduction projects that relate to their core business and deliver social, economic and biodiversity co-benefits (see, for example, a case study on Philips Lighting, accessible here). Research reports that 41% of carbon-offset buyers look for a “fit” with their organizational mission, and 24% look for co-benefits such as biodiversity protection and community livelihoods when purchasing carbon credits. This suggests that certified coastal ecosystem protection programmes would resonate with buyers from industries such as tourism, aviation, oil and gas, and shipping. The last three sectors are among the highest emitters of CO2 and have little room for reducing emissions through technology innovation at the required speed, scale and cost. Among the above-mentioned industries, shipping stands out as a possible source of demand for investment in the protection of coastal ecosystems. Currently responsible for about 2.5% of global greenhouse gas emissions, the industry’s growth projections suggest sector-wide emissions will increase by between 50% and 250% by 2050 – a trend incompatible with the goals of the Paris climate accord. Nevertheless, along with aviation, the shipping industry has been excluded from the agreement. By April 2018, the International Maritime Organization is expected to release a draft climate change strategy for the entire sector. If the strategy were to include global carbon offsetting mechanisms – similar to the Carbon Offsetting and Reduction Scheme for International Aviation – it could generate considerable private sector demand for blue carbon and thereby help mobilize private sector investment to protect and restore coastal ecosystems. Mobilizing blue climate finance will be front and centre at this week’s World Ocean Summit in Cancún and Playa del Carmen, hosted by the Economist Group and the government of Mexico. And rightly so: protecting those vital ecosystems and creating sustainable livelihoods for coastal communities is clearly is much more than a drop in the ocean of climate action. 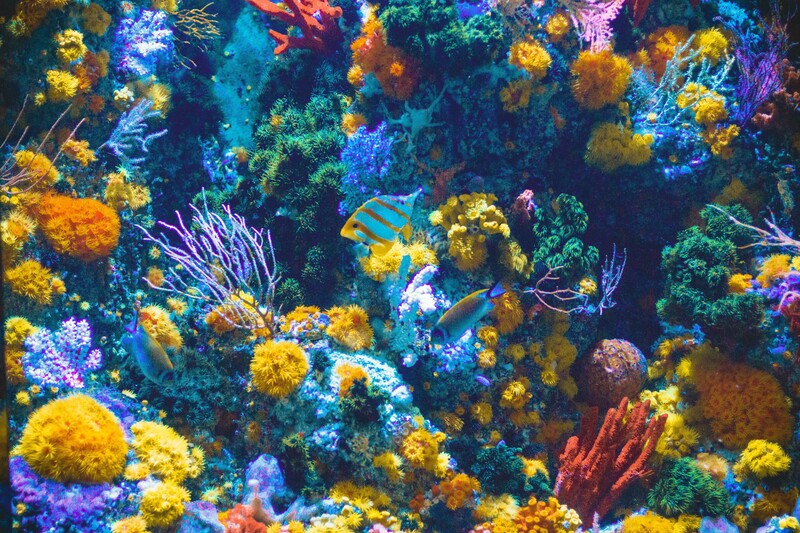 Failing to protect – and where necessary restore – these ecosystems would compromise our chances of avoiding severe social, environmental and economic consequences of climate change.